BENTONVILLE, Arkansas, September 16, 2013 (ENS) – Walmart, the world’s largest retailer, has decided to offer products with less harmful chemicals, increase the use of recycled materials, reduce fertilizer use in agriculture, and increase energy efficiency in the products its stores carry. 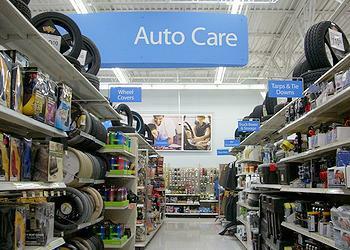 The new standards apply to Walmart stores in the United States and elsewhere around the world. At its Global Sustainability Milestone Meeting Thursday, Walmart president and CEO Mike Duke highlighted the company’s Sustainability Index, a measurement system used to track the environmental impact of products. 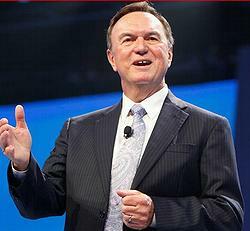 “We’ve reached an acceleration point where we are moving from measurement to results. We’re starting to really drive progress with the Index,” Duke said. “This is about trust and value. Using less energy, greener chemicals, fewer fertilizers and more recycled materials – all of this – is the right thing to do for the planet and it’s right for our customers and our business,” he said. The Sustainability Index has been applied to 200 product categories, and to more than 1,000 suppliers. By the end of this year, Duke says the Index will expand to include more than 300 product categories and as many as 5,000 suppliers. Since the Index rolled out to Walmart product categories in August 2012, it has shown a trend of improved product sustainability. Walmart’s general merchandise department has improved its Index product sustainability score by an average of 20 percent; the grocery department by an average of 12 percent; and consumables and health and wellness by an average of six percent. “With the Sustainability Index, Walmart is applying the science and research that we’ve developed to create a more sustainable supply chain globally,” said Kara Hurst, CEO of The Sustainability Consortium, a citizens group in the United States and The Netherlands that works with member companies to improve consumer product sustainability. “We’re excited about the significant progress Walmart and its suppliers are making and value their partnership with us to address big issues and drive real social and environmental change,” said Hurst. Walmart has been working with suppliers, nonprofits, industry experts and government to develop and implement solutions that address critical problems and opportunities across the global supply chain. Five major initiatives are underway. Walmart aims to grow both the supply and demand for recycled plastics so they can be diverted from landfill and get a second life. More than 29 million tons of plastics are sent to landfills every year in the United States at a cost of about $6.6 billion annually. The company is working with cities to increase plastic recycling and with suppliers to increase the use of recycled content and make packaging more recyclable. Changes in packaging are already being implemented in product categories such as beverage, over-the-counter drugs, dairy creamers and berry containers. Last week, Walmart and Sam’s Club announced a smartphone trade-in program in the United States that goes into effect September 21. The company will not send these trade-ins to landfills, domestically or internationally, a move that could keep hundreds of thousands of smartphones from landfills every year. Walmart is working with suppliers to reduce or eliminate the use of priority chemicals used in consumables products in favor of less harmful alternatives. It will begin with household cleaning, personal care, beauty and cosmetic products, asking suppliers to transition to greener substitutes for priority chemicals. Starting in January 2014, Walmart will begin to label its private brand cleaning products in accordance with the U.S. Environmental Protection Agency’s recommended Design for the Environment Safer Product Labeling program. Walmart declined to say which specific chemicals would be phased out but confirmed that they all appear on the list of chemicals that the U.S. advocacy group Safer Chemicals, Healthy Families published in April as part of its Mind the Store campaign. The campaign asked the top 10 retailers to phase out 100 hazardous chemicals in the products they sell. “Walmart’s decision to banish cosmetics and cleaners made with toxic chemicals will revolutionize the marketplace and help all of us live better by making safer products the new normal,” said Janet Nudelman, director of program and policy for the Breast Cancer Fund and co-founder of the Campaign for Safe Cosmetics. In another initiative, Walmart is requiring suppliers who use commodity grains, such as corn, wheat and soy in their products, to develop a fertilizer optimization plan that outlines clear goals to improve performance based on research conducted through the Sustainability Index. Walmart says the company and its suppliers have the potential to reduce fertilizer use on 14 million acres of farmland in the U.S. by 2020. Walmart will expand the Sustainability Index and measurement to international markets with the goal of improving product sustainability at the global level. Walmart Chile and Walmart Mexico will launch the Sustainability Index in their respective markets in 2014. In addition, South Africa’s Massmart has begun to include key Index questions in its supplier sustainability surveys. Duke said the Index has uncovered the importance of energy efficiency in several product categories, such as televisions, plastic toys, small appliances and greeting cards. By working with suppliers to improve energy efficiency through the supply chain of these products, Index energy scores have already improved 23 percent in general merchandise categories, the company said Thursday. Walmart is now providing tools for suppliers to help track and reduce the energy used to produce these products. 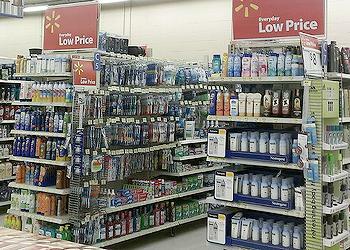 Walmart has announced its goal to be supplied 100 percent by renewable energy. In 2012, Walmart added nearly 100 renewable energy projects, bringing the total number of projects in operation worldwide to nearly 300 today. According to the Solar Energy Industry Association, it has more solar power capacity and number of systems than any other company in America.